Pyramid Imports Tile & Flooring, Inc. is a family owned and operated business with 45 years of experience. Belisario (BC) Gonzales opened this small tile company in Houston in 1974. Since then, Pyramid Imports has grown from carrying one line of tile to offering one of the largest selections of tile, flooring and countertops in Houston and the Southwest Region. Pyramid Imports services both individuals and contractors from the Houston area, across Texas and even throughout the United States. With a keen sense of perfection, hard work and strong ethics, Pyramid Imports is the company you can trust for all your tile and flooring needs. We are a one-stop shop business offering product, fabrication, installation and maintenance. 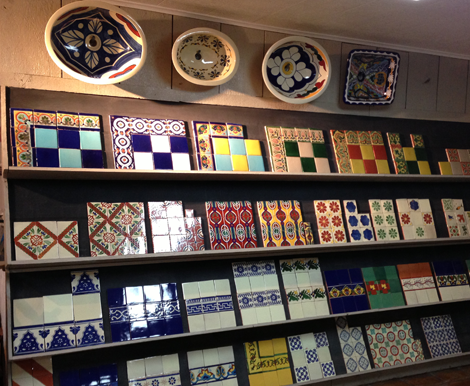 Our Houston Showroom has more than 100 different Talavera tile options and dozens of Saltillo patterns. Handmade in Saltillo, Mexico, Saltillo tile is perfect for all your surfaces including floors, tubs, countertops and patios. 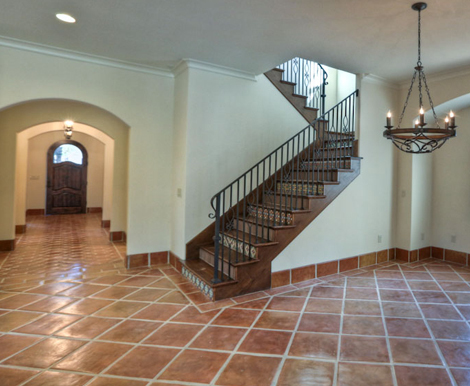 Pyramid Imports carries the largest selection of Saltillo tile in Houston. With 10 different shapes and a variety of sizes, you can find the Saltillo tile that fits your home. Plus, Pyramid Imports offers sealing, staining and installation. Pyramid Imports will sell boxes of un-sealed or sealed tile for your own installation. Or, Pyramid Imports will help you choose the right shape, install it and seal it. 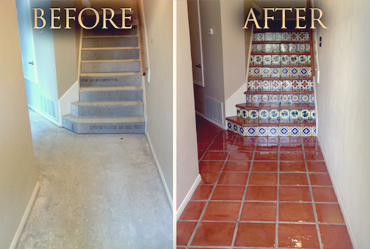 For current Saltillo tile owners, we also offer stripping and re-sealing services. Please visit our Saltillo Tile page to see our selection. 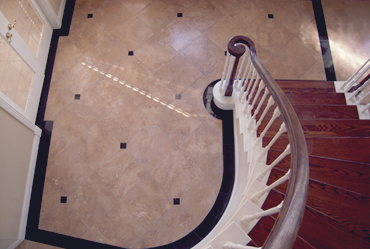 If you need any type of stone or tile for any surface in or outside of your home, Pyramid Imports can help. We offer every type of stone in a large variety of colors and textures including: Saltillo Tile, hand-painted Talavera tile, granite, quartz, limestone, marble, ceramic, porcelain, travertine and slate. We sell to individuals, contractors and companies. We sell the product alone or we can fabricate and install it. Our Houston based crews can install flooring, bathtubs, countertops, fireplaces, patios, sidewalks and more. We service Houston and the surrounding areas including Galveston, Clear Lake, Friendswood, Pasadena, Sugarland, Missouri City, Richmond, Katy, Spring, Conroe and The Woodlands. We also service all of Texas and across the country. We have clients from the Texas Hill Country to New York to Colorado to California. Give us a call for any of your tile or flooring needs. Come see our showroom which is filled with more than 100 different Talavera tile options and dozens of different Saltillo patterns. Our designer will help you create your personalized look. 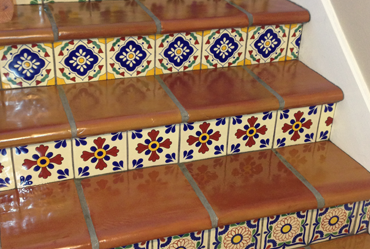 If you don’t see a Talavera pattern you like, we can custom make a pattern to match your design. 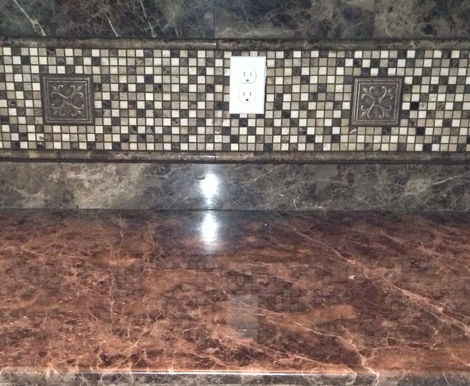 You can also see a variety of sinks, granite, quartz, and marble counters. Just call ahead and let us know you’re coming. We look forward to showing you the large variety of options we offer.